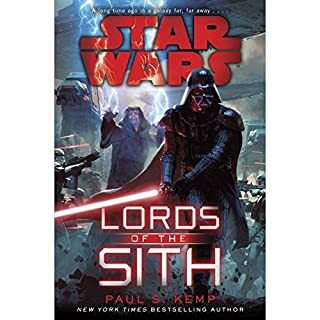 Commanding a Separatist invasion force more than one-million strong, the cunning Pors Tonith lays siege to the planet Praesitlyn, home of the communications center that is key to the Republic's survival. 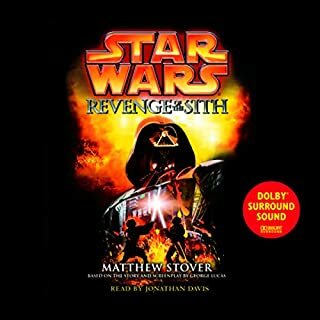 Already outnumbered and outgunned, when confronted with an enemy ultimatum that could lead to the massacre of innocents, the Jedi may also be out of options¿unless Anakin Skywalker can strike a crucial balance between the wisdom born of the Force and the instincts of a born warrior. 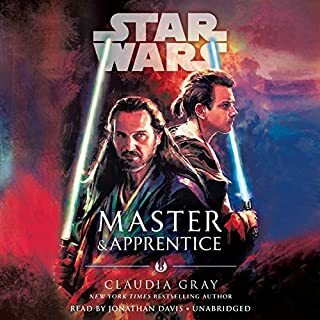 Hiding their lightsabers beneath their dusty disguises, Anakin and Obi-Wan draw on their Jedi skills to stay one step ahead of Lok Durd's droid army on Lanteeb. 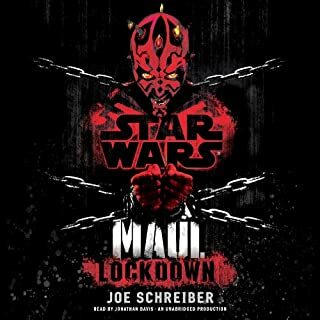 The Jedi know that a captive scientist has given Durd the keys to a terrifying bioweapon. Durd knows that the Jedi are on his planet. 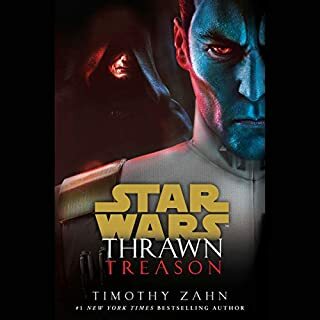 With Yoda calling on the powers of the Jedi Council, with a new Separatist technology jamming the Guardians' communications, and with a traitor at the heart of the Republic's government, the wheels of war are turning. But the Separatists have blockaded Lanteeb. The finishing touches are being put on a weapon to destroy whole worlds. And it will be up to the two Jedi Knights and their most trusted comrades to liberate Lanteeb or forever suffer the consequences. 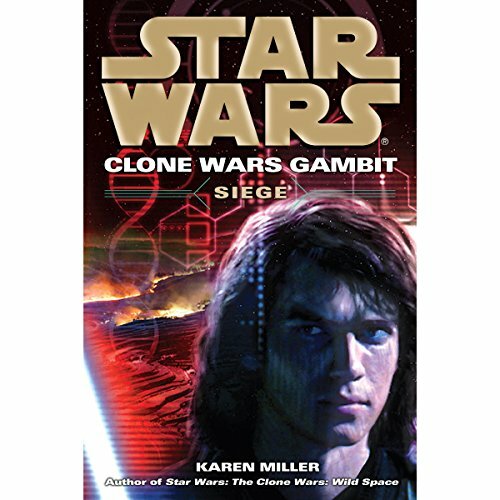 Would you listen to Star Wars: Clone Wars Gambit: Siege again? Why? Well. 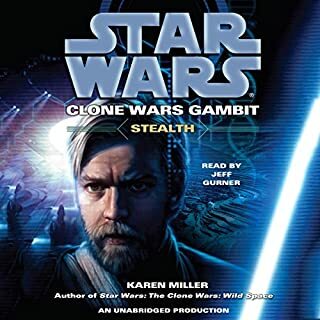 Yes I have listened to Clone Wars Gambit three times and I am going to repeat them some more because these two books are my very first audible experience and it is exciting. The voice acting is great, living up the characters and the pace is tight and engaging. However the story doesn't stand out and I feel somewhat disappointing about the ending sections. After 20 hours detailed story portrait, I expected something special: a final picture that put all the pieces together, but there is no more than repetitive fighting and suddenly the reinforcements arrived and the story ended. 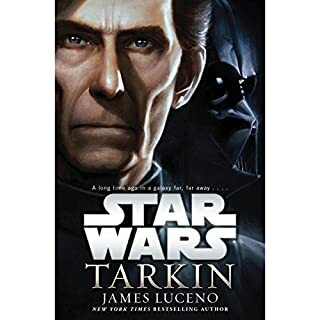 The storyline is quite predictable: bad guys have evil plans and good guys struggle and prevail, except that the length of the story to tell a usual Jedi mission is truly surprising. Take another view of thinking, this also indicates that there are hours of dialogues and descriptions of thought and feeling of the characters, and we won't miss and wander what they are thinking in every situation. To people who love intense arguments and care about the inner state of a Jedi, the approach is good. There are a lot of Jedi works in the story I consider miraculous, and too many miracles makes it unconvincing. 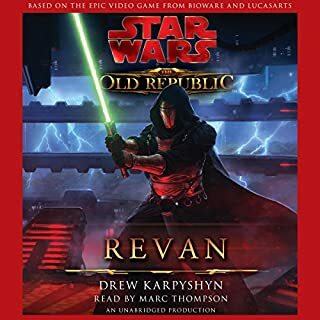 For example in the beginning of the story, Grievous' army totally jammed the communication system of the Republic army, and the Republic army led by Anakin and Obiwan managed to win the battle. Hmn, with Jedi, we can ignore all the principles of wars. Later on, the two Jedi will go further continuously fighting hundreds of droids, force curing people, manipulate all sorts of machines without taking food and rest for several days. Okay, because they are Jedi, nothing is impossible. The overall storyline is good but far too much emotion and petty arguments which made it very hard endure. 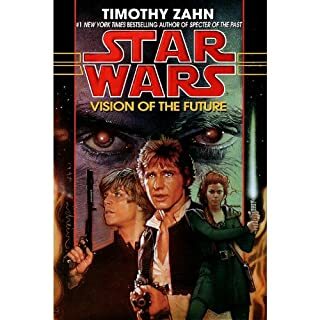 One of my least favorite Star Wars books. 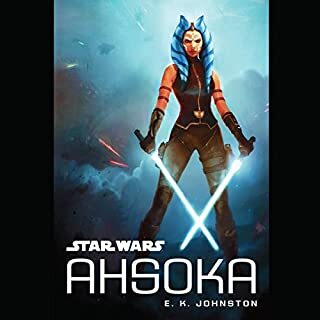 Among the very best Star Wars novels! I've read dozens upon dozens of books from the galaxy far, away, and this is far and away the most rewarding. 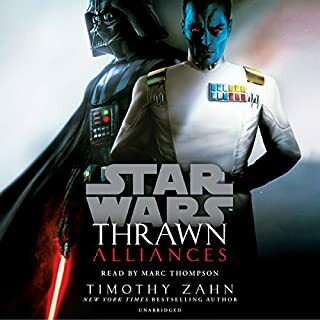 It's certainly not without flaws and doesn't rank with the great literary triumphs from Timothy Zahn and James Luceno, but it has heart and spirit that even those authors can't quite deliver. 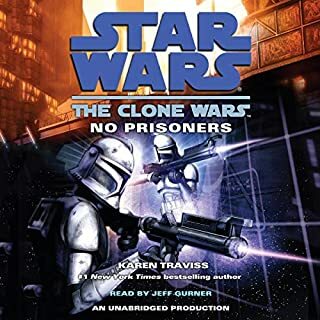 Jeff Gurner more than holds his own, with both narration and character voicing of the first order. Both volumes abound in laughs, tears and goosebumps -- don't miss this one!!! 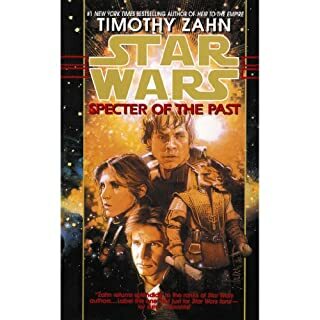 Probably the best Star Wars book in my collection. I love how Karen Miller is not afraid to show the human aspects of being a Jedi, while showing how super human they can be. Obi-Wan is often presented as cold an calculating. 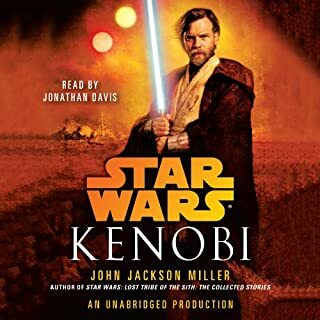 In this book however, we see more of Obi-Wan's compassion. We also learn that he was once in love with another Jedi. We also see Anakin's Force powers do magnificent things that he never knew that he could do. His efforts to protect the villagers on Lanteeb are awesome. We are also introduced to Greti, who is a Force sensitive little girl with Force healing powers. I want to see more of her. Her character is quite compelling. Taria Damsin is another person I would like to see more of. 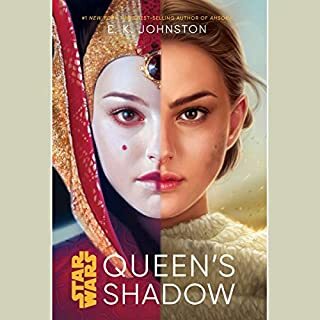 She is a Shadow of the Jedi Order. Shadows have not been explored much at all and I find them fascinating. I would love to learn more about her history and adventures. Overall, I like this book a lot. There are a lot of memorable scenes. Some brought a tear to my eye, and others gave me a chuckle. 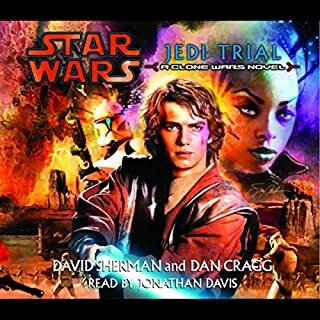 And it has my favorite Togruta in it too. I thought I would give Karen Miller another try after her last effort "Stealth". But she fails again, extremely repetitive, she re-tells the same details throughout the book as if we (the reader/listener) cant remember what is going on. I am not a fan of abridgments, but if there was ever a need for one, it would be Karen Millers books. This is some of the most repetitive and non-imaginative writing I've experienced in the Star Wars novel world. Fantastic story. 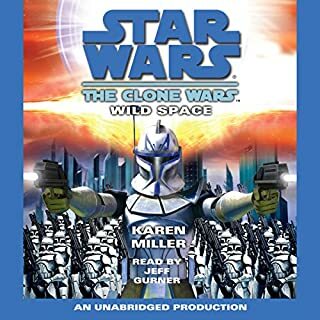 Everything I could hope for in a Clone Wars timeline book and thrilled that it was unabridged. Smart. Dramatic. Funny at times thanks to spot on Obi/Ani banter. Heart felt. 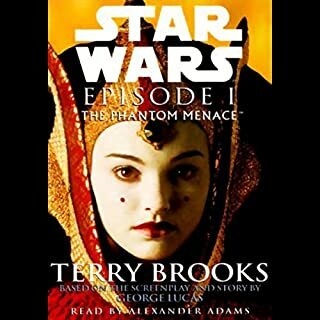 A true treasure in the Star Wars universe read by an excellent narrator. loved this story. and the narrator was very interesting. hope there is more stories coming.